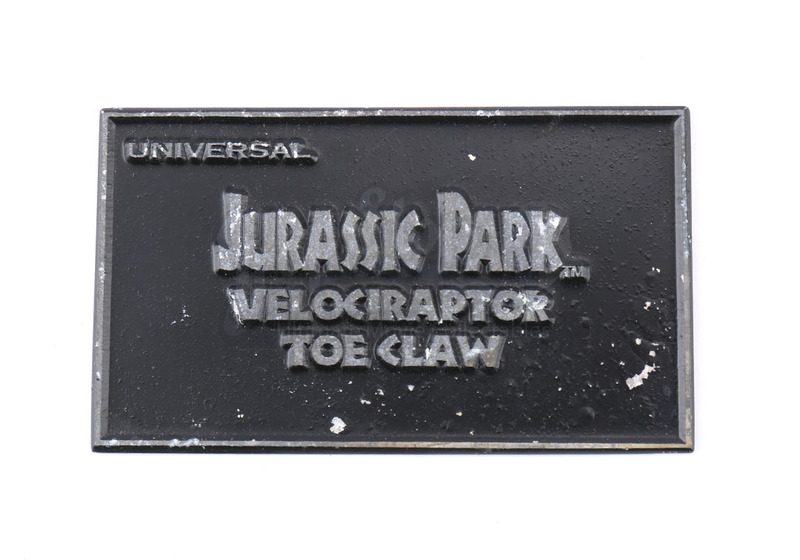 A prototype plaque for the replica velociraptor toe claw made by Icons from the Steven Spielberg blockbuster Jurassic Park. 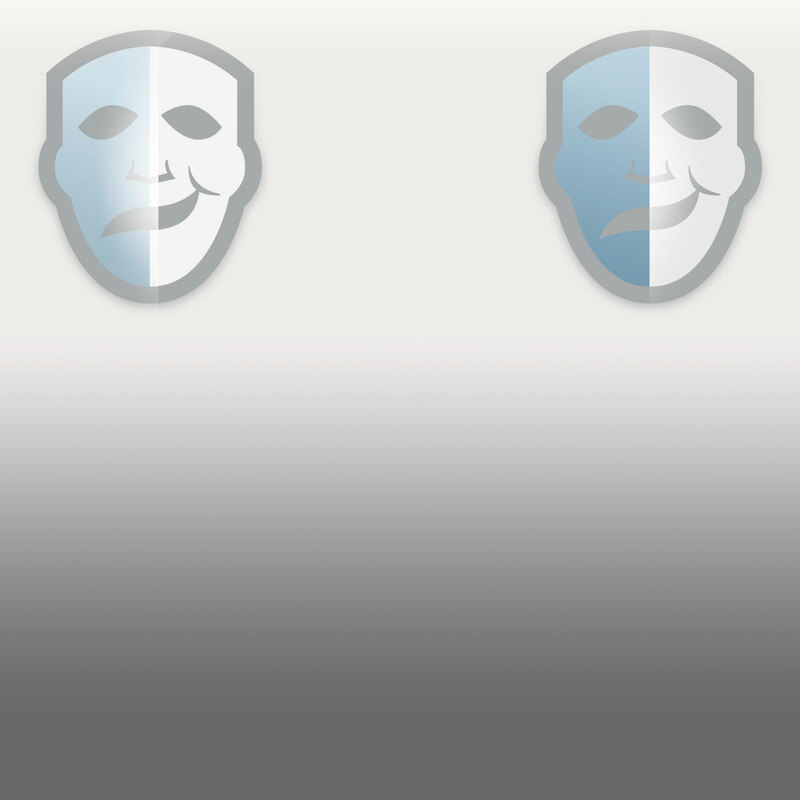 The prototype plaque was made to be presented with the replica toe claw made by the now defunct company Icons. 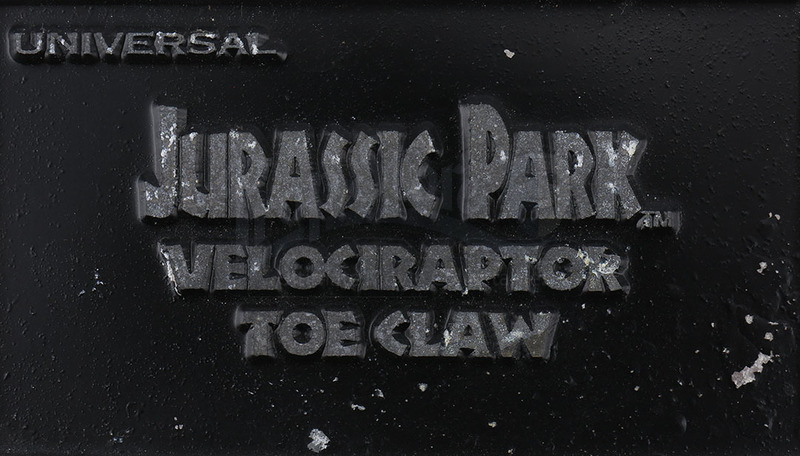 The plaque is made of magensium alloy and has the words "Jurassic Park - Velcociraptor Toe Claw" embossed into the front of the plaque. 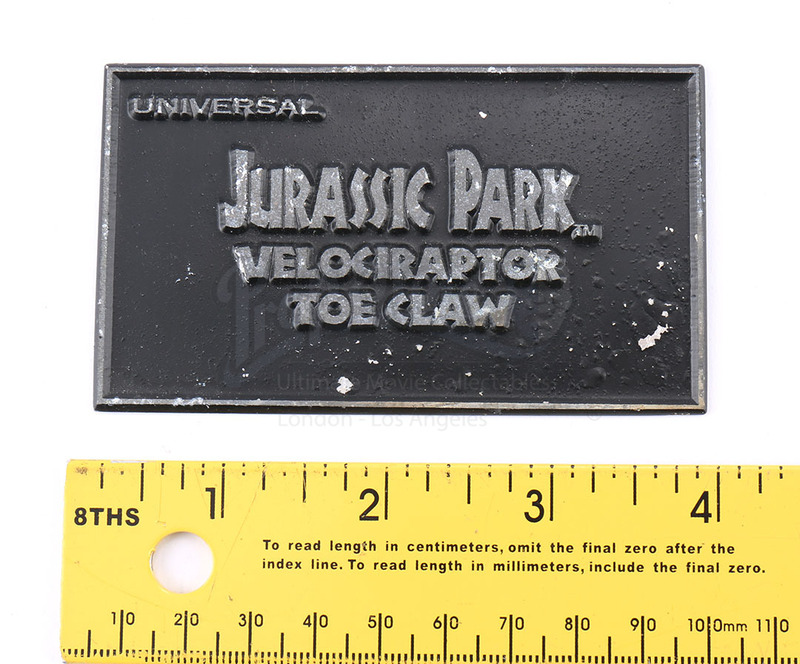 The piece shows minimal signs of wear from age, but remains in good overall condition.